Defending All The Negative Propaganda about our renewable sustainable Lumber starts with Architects, Builders, Contractors and Insurance Companies requesting M-Fire's new proactive value add fire defense that makes job sites safer for all workers. The fire, which is expected to be the most destructive in Manteca’s history, comes at a time when a number of buildings of a similar type have been the site of intense fires, fueled by the combustible materials in their construction – most notably in Denver, CO; Los Angeles, CA; Princeton, NJ; East Boston, MA; Lakewood, NJ; Weymouth, MA; Haverhill, MA; Waltham, MA; Charlotte, NC; Warner Robins, GA; Midvale, UT; Oakland, CA; Dorchester, MA; Lawrence, MA; East Hollywood, CA; Lowell, MA; Waterbury, CT, Emeryville, CA; St. Petersburg, FL; Arlington, VA; College Park, MD; Overland Park, KS; Raleigh, NC; and Maplewood, NJ. There have been over 60 of these fires the last few years. 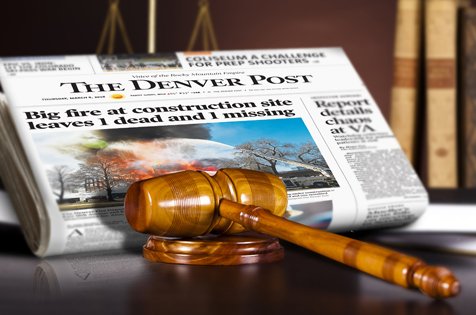 A New Cost Effective Solution Is Available Now, To Defend Builders, Contractors and Insurance Underwriters From Litigators Over Wood Framed Buildings which are not defended and are at Risk from Fire During Construction. Especially now since the deaths of Two Construction Workers in the Denver, Colorado job site fire this past March (2018). We can not blame the wood when only some jobs use FRT on exterior walls and the rest of the building is built with raw fuel which accelerates beyond what the Fire fighters can defend by the time they arrive on site. The New M-Fire Smart APP is now recording real time information for Fire Captains so they can understand why the fire looks different when they show up. Perhaps they will begin to save the wood framed buildings that are being defended by Mighty Fire Breaker™ Job Site Spray because the buildings are less risky for firefighters to encounter to mop things up.